If you’re a frequent flier, you probably notice differences between aircrafts. Each one has a different layout inside, so you can totally distinguish the models. If you used to fly back in the 70s or 80s you surely remember the Queen of the Skies, Boeing 747, known for its spiral staircase to the upper deck. Since the model is 47 years old, after its golden years it finally retired. 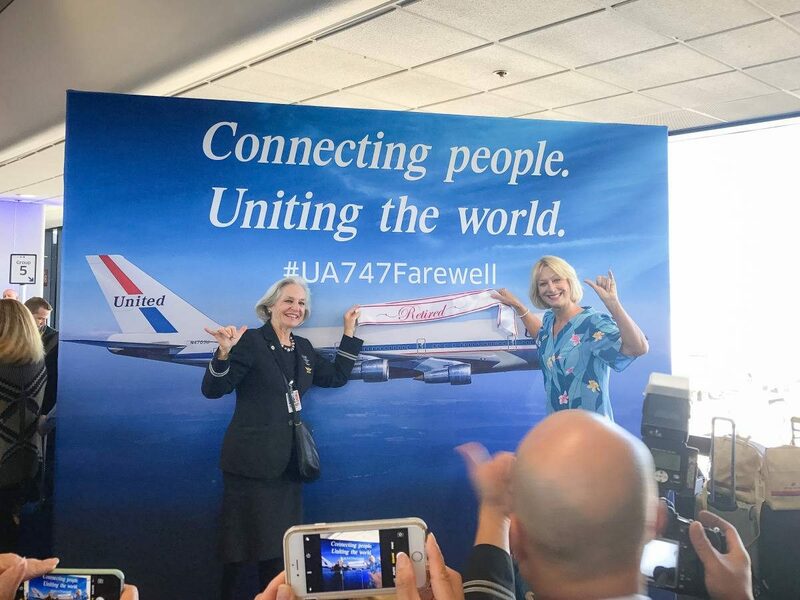 On November 7th, 2017 this famous aircraft took its last flight from San Francisco to Honolulu. 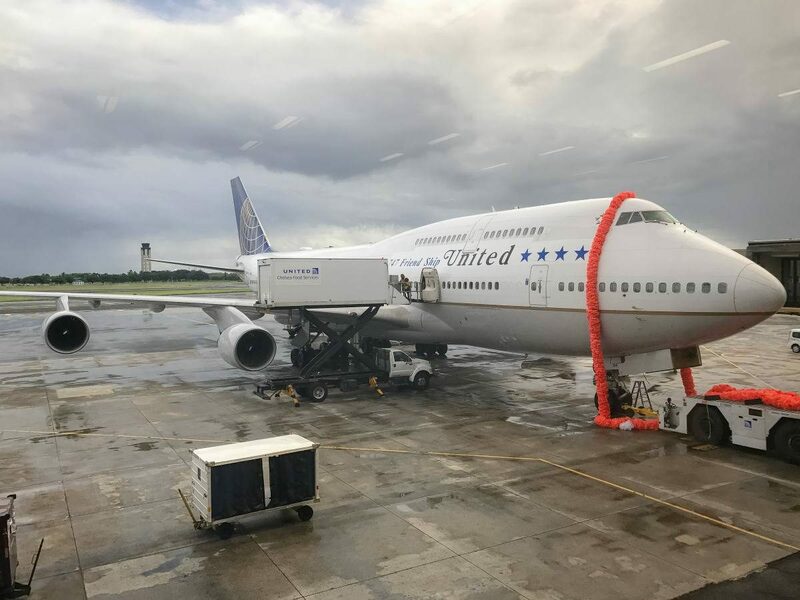 Funnily enough, when United invited me to join this historic flight I was already in Honolulu. I decided to fly to SF for the night to catch this special flight back. But I wasn’t the only one who flew in particularly for this occasion. 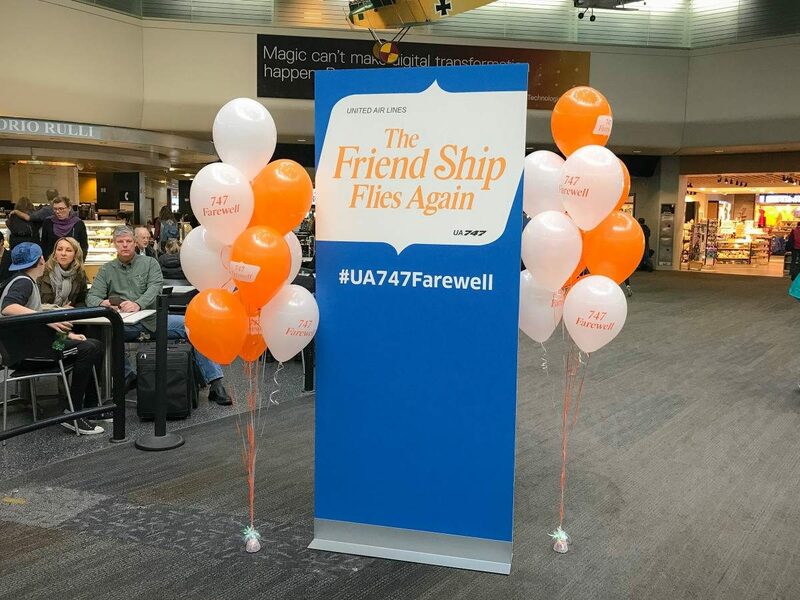 In fact, I met a lot of people on board who were going back to San Francisco right after we landed in Honolulu, as they just wanted to take part in this special event. 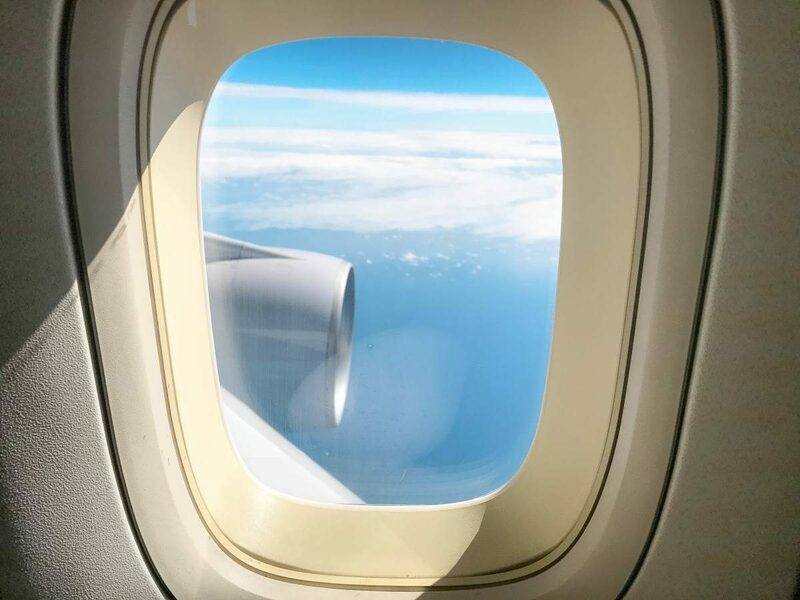 While I had a pleasure to be on board of this flight, I must say that I didn’t expect the amount of excitement from plane enthusiasts and everyone somehow involved in the tourism and flying industry. 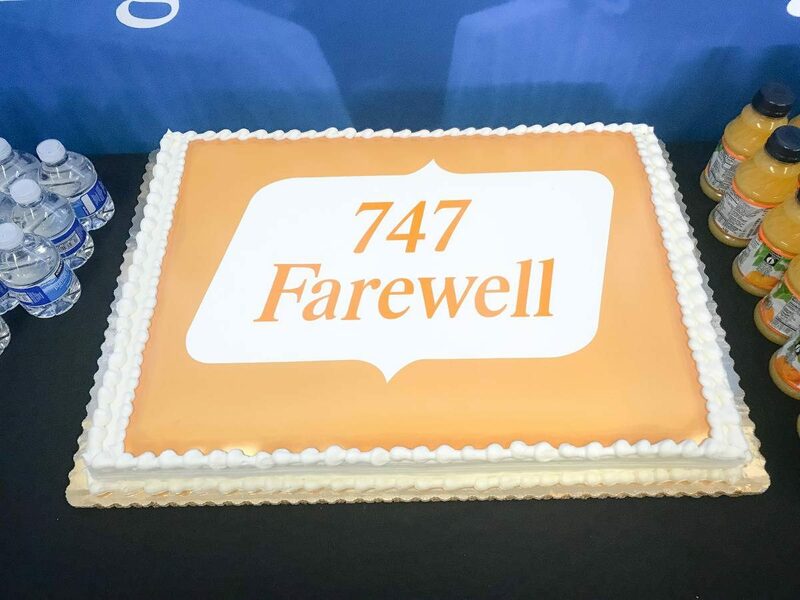 United prepared a big gate party, with the CEO of United Oscar Munoz giving a speech and a special farewell cake. A lot of people dressed up in 70s style. Some even had wigs! 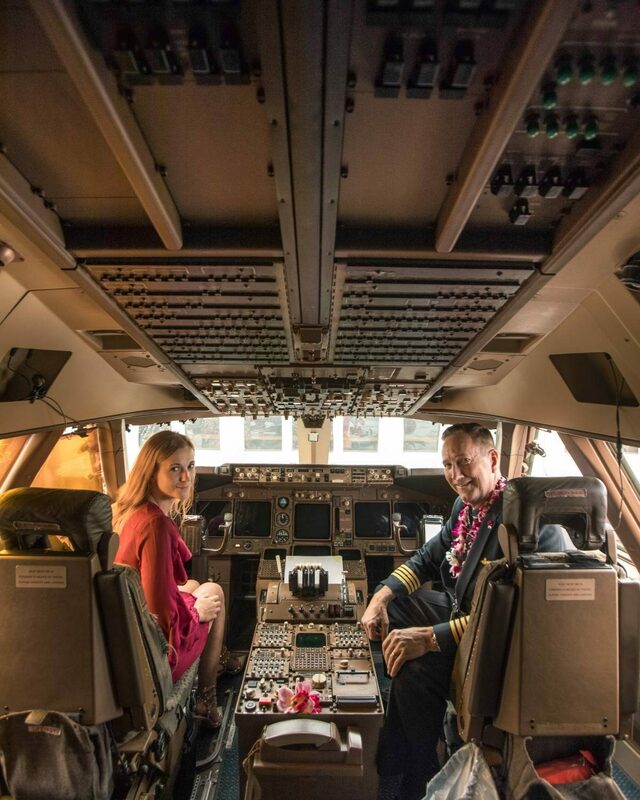 Each passenger got a replica of a 70s boarding pass, and once everyone was seated comfortably, Mr Munoz closed the door and we were good to go and ready for a party in the sky! As we were leaving, every crew member on the tarmac and other airplanes were waving goodbye to us! 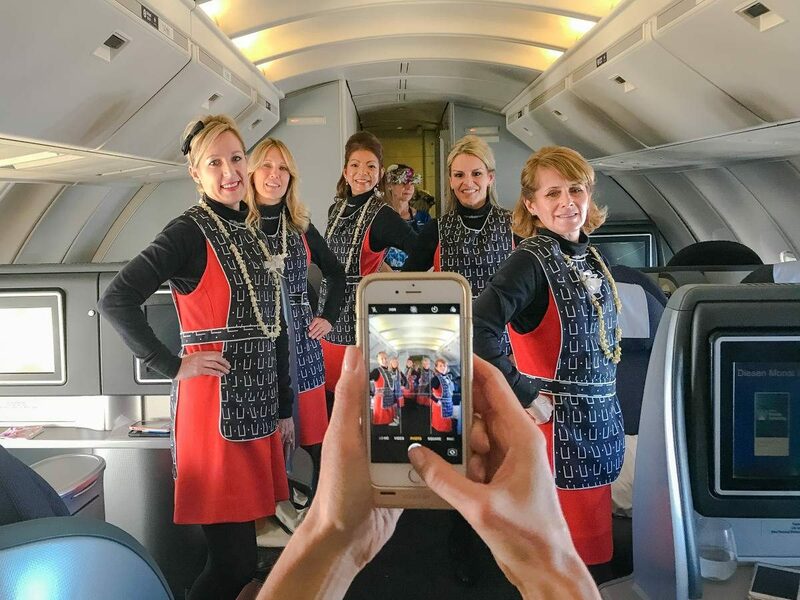 The flight itself was a throwback to the 70s. Flight attendants were wearing retro attire and Hawaiian flowers, we each got a special Flight 747 Coke bottle, and some memorable pins. It was definitely not a regular flight. 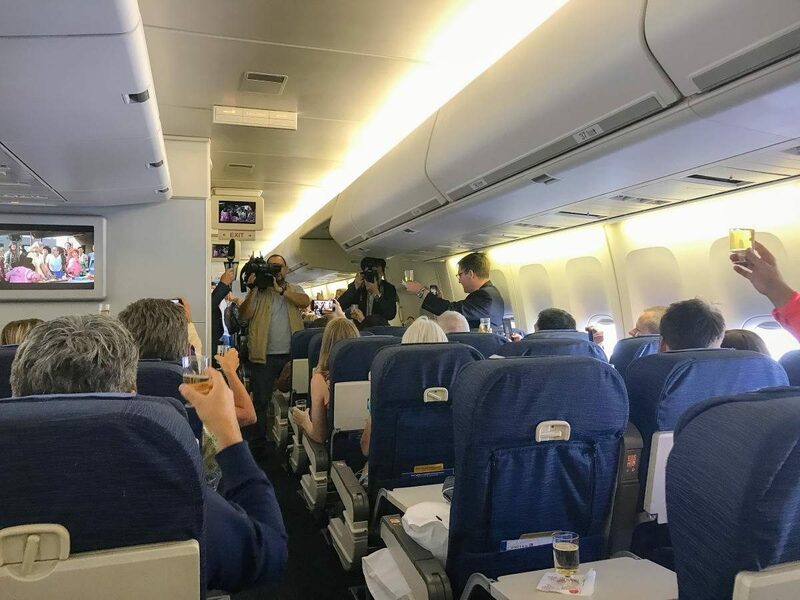 Once we were safely in the air, everyone was walking around the aircraft while making friends with a glass of champagne in hand. 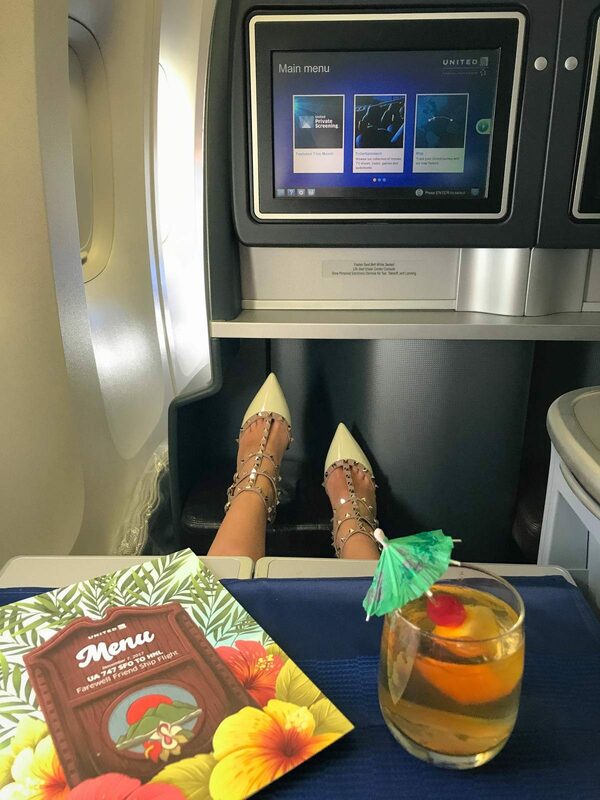 As you can imagine, these days, fancy cocktails aren’t served on board of any aircraft especially not in Economy Class. 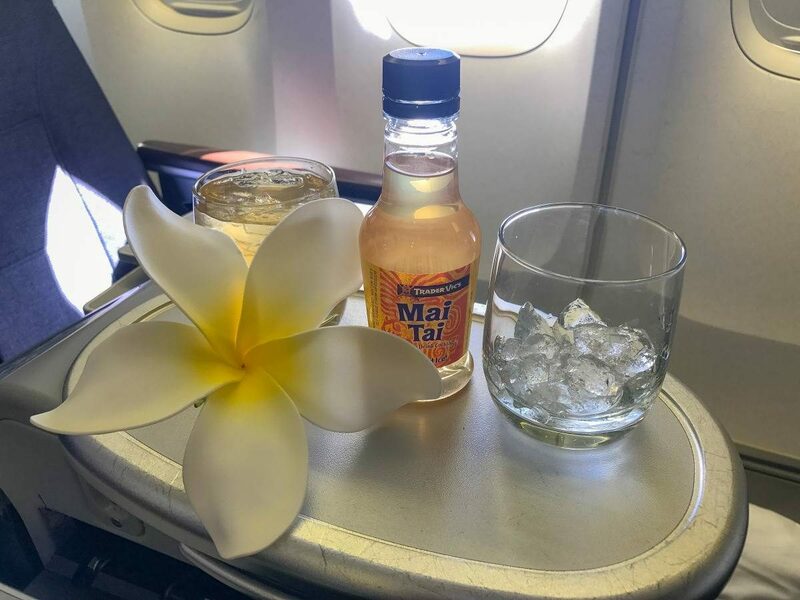 In order to remind everyone of the past, shortly after takeoff we got served mai-tais with colorful umbrellas. 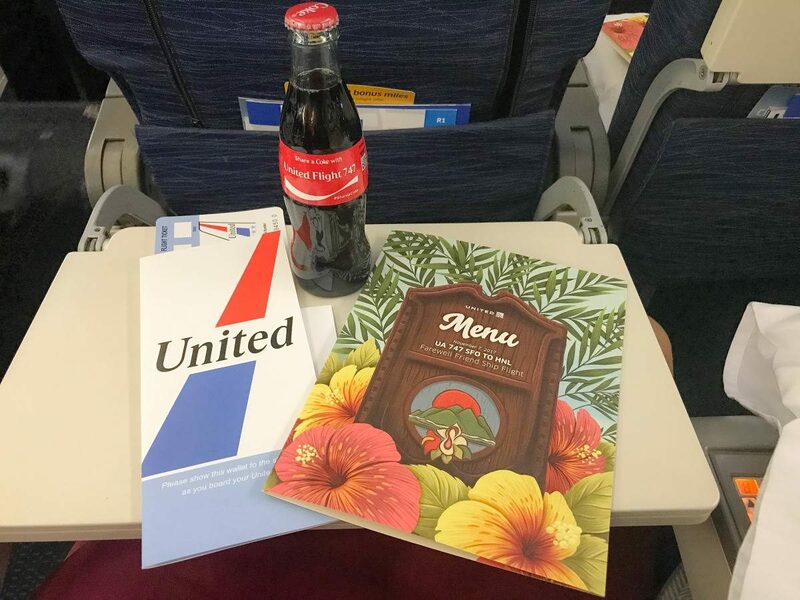 We also got some retro-inspired United menus and a giant lunch. There was even Ghirardelli Ice Cream with a wide choice of toppings. Everyone got a fair chance to tour the upper deck and while it did change over the years, it was actually my first time seeing the upper deck, so as you can imagine it was quite exciting for me. What was even more exciting was a tour of the cockpit and photo opportunities with two pilots. 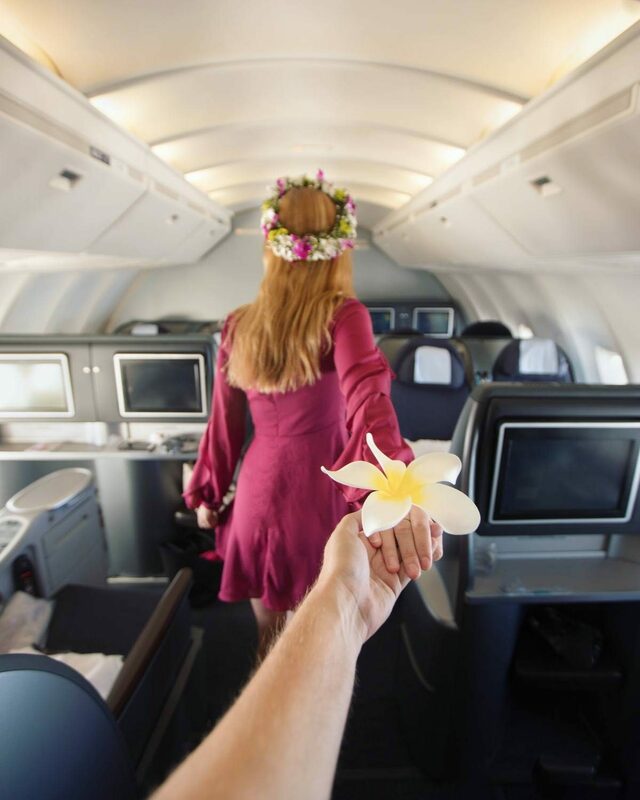 Once landed, every passenger totally got lei’d. So did the plane itself! It was surely one of the most fun flights I’ve ever taken, and I do fly a lot. I was a guest of United on this flight. However, as usual, all opinions are my own and aren't moderated in any way. I love traveling with United. Great customer service.